There is more than one way to lose yourself in a forest. Keeping still – “as still and quiet as a tree” – will do the job as surely as stumbling mapless into the wild, to judge from Sooyong Park’s deceptively intense account of filming endangered Amur tigers in south-eastern Siberia. Sequestered for months at a time in a painstakingly concealed observation bunker, Park finds his ego – if this most self-effacing of writers ever had such a thing – dissolving in the quiet brilliance of the taiga. Much longer shifts (in much fiercer cold, in much greater peril) seem to have bred in Park a correspondingly deeper sense of oneness with the world around him. The Korean film-maker has spent many winters tracking and filming the Amur tiger; the inhospitable Ussuri is a habitat he has come to know intimately. Park’s close engagement with the ecology of the Ussuri forest is the most extraordinary element of this remarkable book. The dustjacket glosses Park’s philosophy: “Nature is to be observed, not directed.” But in reality he goes further than this. The tigers for which Park waits and watches are more than fur and muscle, tooth and bone; they are pug-marks on a riverbank, bloodstains in the snow, the stink of urine on a rock where territories intersect. They are, in effect, inseparable from the landscapes they occupy. And so, too, is Park. “Only when you become part of nature,” he concludes, “does nature reveal the answers to [one’s] personal questions.” The rigour and evident sincerity of the film-maker’s philosophy distinguishes The Great Soul Of Siberia even in the present age of Emersonian-inflected transcendentalist nature writing. One sensation in particular intensifies or accelerates Park’s process of identification with the animals around him: fear. This is real fear and, it’s worth being reminded, real danger. In 1996, the nature photographer Michio Hoshino was killed by a bear while working in Kamchatka, to the north-east. Park’s vocation is a perilous one. Park places the lives of men and women starkly, severely, in the context of a waning ecosystem. 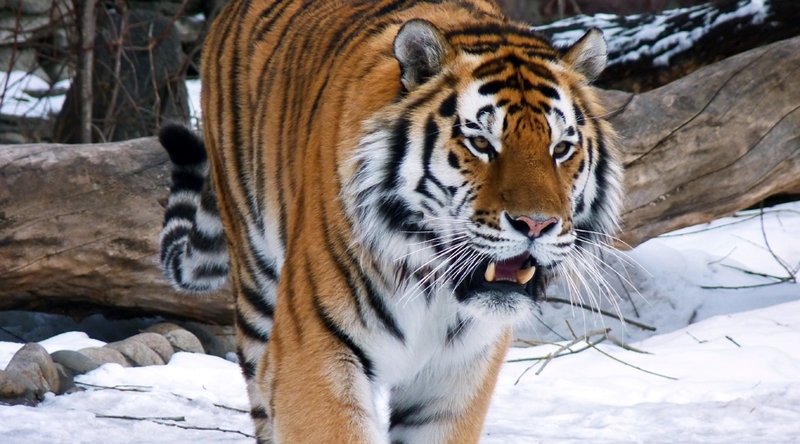 The Siberian population of Amur tigers has fallen to around 350 (at the same time, Park notes, the population of indigenous Ussuri people – the people who share the tigers’ world – has fallen to just 10,000). The tigers are magnificent and desperate. Their kingdom is dwindling. Their deaths are miserable, bloody and cruel. Death leaves deep prints in The Great Soul Of Siberia, and fear is a constant. But the enduring fear one is left with is not the terror of a film-maker trapped and trembling before a tiger’s jaws. It’s broader, deeper, than that; it’s the fear not of death but of loss – of landscapes and ecologies, of connections between species, of time-worn ways of life. It’s the fear of extinction.